Sen. Claire McCaskill, chairwoman of the subcommittee on Consumer Protection, Product Safety, and Insurance, led the panel that looked at false advertising for weight loss products. Subcommittee members took issue with claims Oz has made on his show about products that don't have a lot of scientific evidence to back them up, such as green coffee beans. "The scientific community is almost monolithic against you in terms of the efficacy of the three products you called 'miracles,'" said McCaskill, a Missouri Democrat. She said she was discouraged by the "false hope" his rhetoric gives viewers and questioned his role, "intentional or not, in perpetuating these scams." "I don't get why you need to say this stuff when you know it's not true. When you have this amazing megaphone, why would you cheapen your show?... With power comes a great deal of responsibility." Oz told the committee that he does use "flowery language" to describe certain products on his show, but added he believes in them so much he has given them to his own family. "My job, I feel, on the show is to be a cheerleader for the audience, and when they don't think they have hope, when they don't think they can make it happen, I want to look, and I do look everywhere, including in alternative healing traditions, for any evidence that might be supportive to them," Oz told the panel. He testified that he could not be held responsible for what certain companies say online about the products. He said he's toned down some of his language and will publish a list of products he thinks really can help people lose weight. I Like some of the products, I have used them and they have been very helpful, not a miracle but very helpful. Dr Oz is a bridge between the stiff, biased traditional medicine and the holistic medical community. Both are vital to health, and holistic medicine is the 1st line of treatment in MOST of the world. USA has too many big pharm's funding med schools and lying to the traditional medical professions. I support Dr Oz for his research, sticking his neck out, and thinking of what we, the people, want and need. Shameful mistreatment and name calling from what is supposed to be adults! I have no tv but I do check out products and videos on his website. 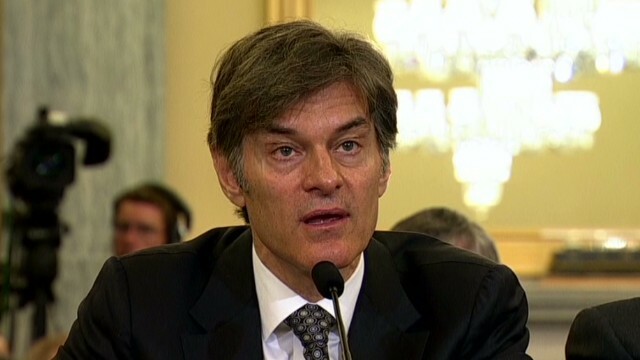 Dr. Oz is a bridge between stiff, uninformed (holistically) medical establishment and holistic practitioners. Tradional and holistic medicine have their place, together they are awesome. Thank you Dr. Oz. I SUPPORT DR OZ and his show. They should leave him alone....people can determine what they want to listen to and what they don't want to listen to... Some people may have had great results from the green coffee beans.....just because everyone doesn't does not make it a scam. I take supplements and i know they have helped me lose 50 pounds sooooo i don't think they can lump all supplements together.